Hin Daeng and Hin Muang are 2 of Thailand’s best dive sites. 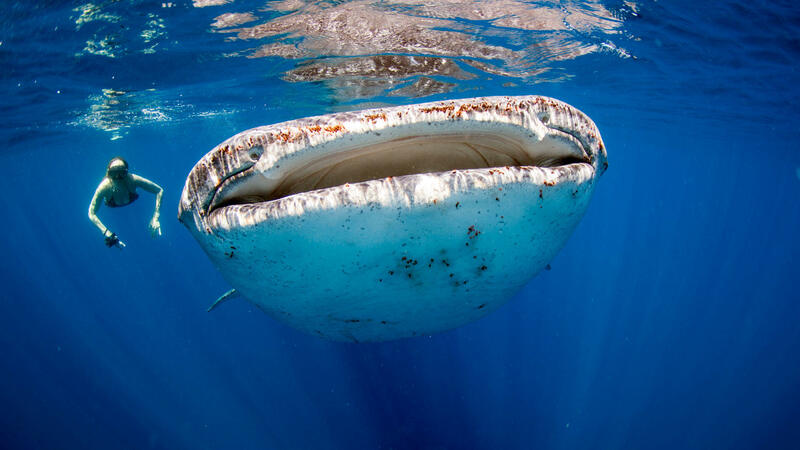 Located about 70km south of Phi Phi, these sites often attract big fish. You can dive here on a 2 day / 2 night liveaboard trip from Phuket on the Giamani liveaboard. This tour runs through the high season (November to April) about one time per week. 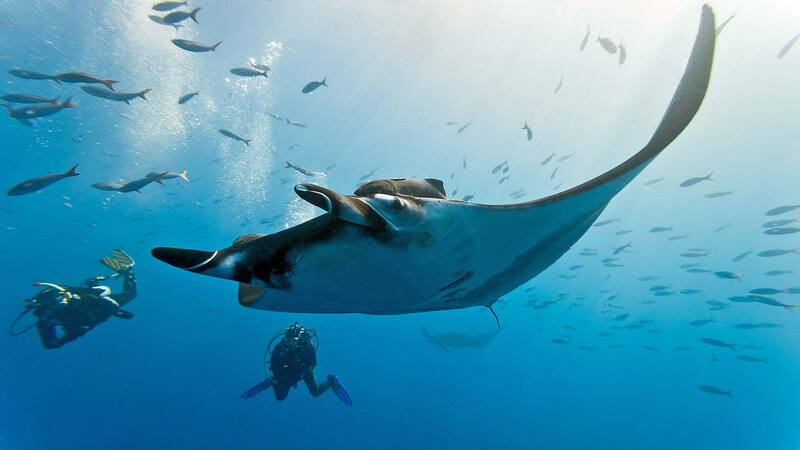 The trip also includes dives at Koh Ha and Phi Phi Island. Giamani is a top quality boat taking a small group – the boat takes a maximum of just 10 divers. 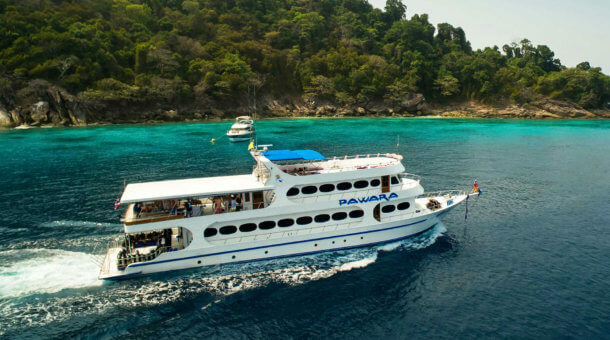 Many people coming to Phuket want to dive in the Similan Islands and there are many options for liveaboards. Hin Daeng and Hin Muang are equal to the best of the Similan Islands, but there are not so many trips heading in this direction. 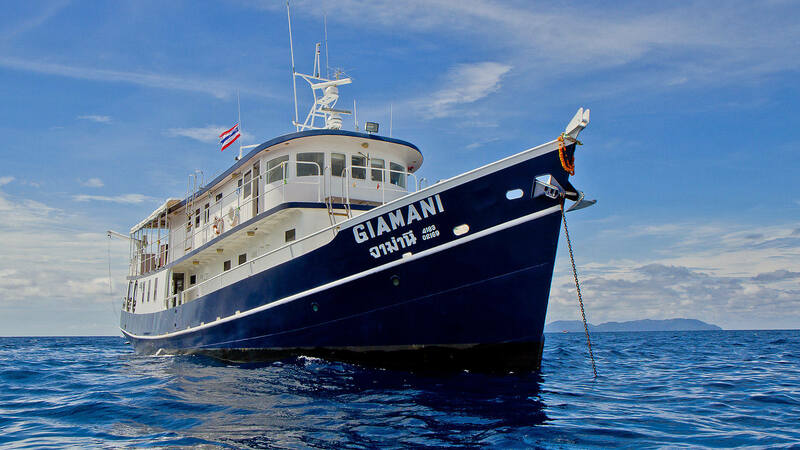 The Giamani does weekly 2 night trips to Hin Daeng and you can then carry on for 4 nights to the Similan Islands making a 6 night trip in total. or you can just book the 2 night trip separately. Koh Ha island which features a great cavern dive is also part of the trip. In total you get 7 dives. Prices increase to 30,000 / 26,500 Baht from October 2019. Rental dive equipment is 500 Baht per day. National Park fees 1,200 Baht per person. NOTE : In the low season from May to September the Giamani operates 2 night trips to Phi Phi. More Details – see Phi Phi 2 Night Trip.